However, there are clear distinctions between the structure and intent of the two documents. 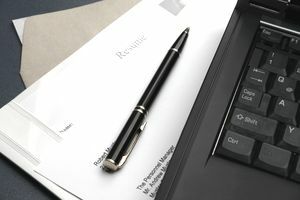 Job seekers should view their cover letter and resume as a complementary but unique pair of documents. That is, your cover letter should be more than just bullet points regurgitated from the resume. Many employers require that a resume is submitted with a job application. Typically, a resume is written in the third person and uses as few words as possible to summarize the experience. So, instead of writing "I supervised the large buying team at XYZ company" a resume would have a bullet point that says, "Supervised 19-person buying team." Whenever possible, you'll want to use numbers on your resume, such as the number of people you supervised, percent sales increased, the number of customers helped, etc. Your resume should provide employers with a detailed list of your work experience and education. The skills and accomplishments associated with each job you have held should be described in enough detail to show employers how you have added value in those specific roles. A cover letter is a short three or four paragraph document. It should be written with the assumption that employers will consult your resume to match it to the statement you are making in the letter about your qualifications. When you are writing a cover letter for a job, first review the job requirements that are detailed in the job posting. Use your cover letter to explain how you meet those criteria. A resume states the facts – who, what, when, and how. In contrast, a cover letter provides an opportunity to explain why you are qualified for the job. This document adds a bit of color and personality and is intended to persuade employers that you're a good fit for the position at hand.